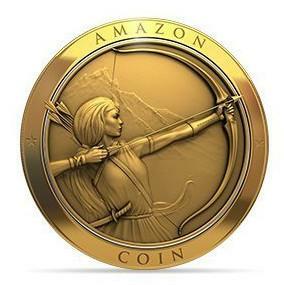 Amazon.com had launched Amazon Coins as their virtual currency program on May 13, 2013 and sent Kindle owners 500 Free Coins as a new way to purchase Kindle Fire apps, games and in-app items from their website. The more coins that you want to buy then the more you will save due to the discount from $0.20 (4%) up to $10.00 (10%) that they are currently offering and those purchased coins are immediately deposited into your Amazon account that never expire, therefore you will have an option to spend them immediately or save them up for later. I tried to use my free coins after 3 days and I was glad since it was easy to do so. My little one was so happy to use the Educational Apps that I had chosen for her. Below is part of the email sent to me by Amazon so I simply clicked the "Amazon Appstore for Android" and was taken to their official website. 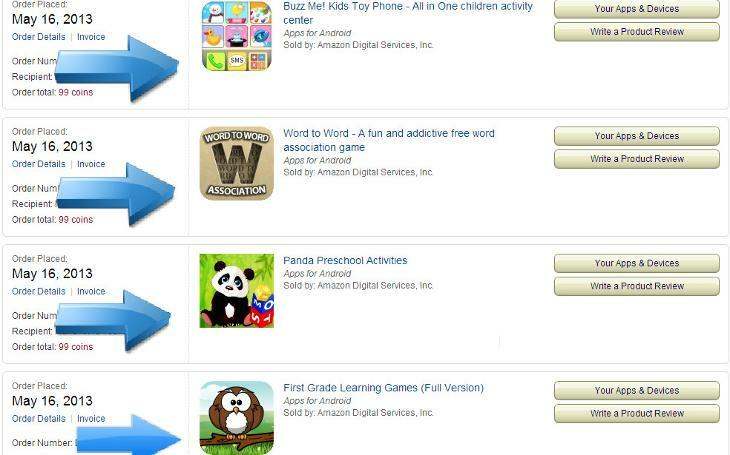 If you have an older child, Amazon coins might be a good way to let your children use those coins for the apps and games that they wanted to use. The "product features" for these coins could be nice too since they are redeemable towards thousands of Kindle Fire apps, games and in-app items, virtual gifts for friends and even song collections inside certain apps at Amazon.com or through your Kindle Fire with no expiration and no fees plus they are quickly deposited into your account as well. Amazon is selling 500 Coins which you can pay for $4.80 as the lowest price with $0.20 (4%) discount from the list price of $5.00. 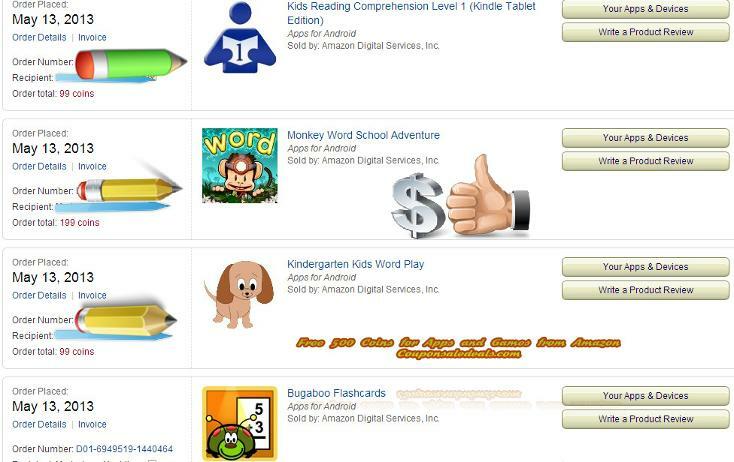 I tried to buy more Educational Apps since the knowledge that my little one was visible after the three days of use from the Free 500 Amazon Coins that was offered through my email and I was glad to have purchased the sale price on May 16, 2013. You can also purchase these coins in increments of 1,000 ($9.50), 2,500 ($23.00), 5,000 ($45.00), or 10,000 ($90.00). There may be a downside of a system like this if you don't end up spending all of those 10,000 coins on Kindle apps, games etc. since there might be a possibility that you may no longer want to use your Kindle because there is a better gadget out there with greater apps and games. Indeed, modern technology is very fast nowadays and more products are being introduced in the market. There could be a possibility that the Kindle may become obsolete in a short period of time than what was expected and as a consumer who wants to be updated with a new gadget, you may want to switch to the newest or latest device that almost everyone is talking about. If ever this will happen, then it is advisable not to purchase a lot of Amazon coins since who knows that you may just end up selling your Kindle with a lot of coins left over in your Amazon account. Amazon may not allow you to sell, give away, or return those coins for a refund. You need to keep in mind that when you use these coins, you have another payment method to keep tracking of as well. It is important to read Amazon's "Terms and Conditions" with regards to these virtual currency especially if you're planning to buy them in the denominations of a 10,000. Amazon might change, suspend or discontinue the program, or any part of it, at any time without notice so it could be your loss if you had purchased a lot of these coins and may not get a full refund. If you decide that these coins are not for you, you always have the option to buy apps and games with the use of a credit card. If you are a developer, you might like this virtual currency because Amazon had said that that these coins will provide new opportunities for developers. As a developer, this could be a good deal since you will earn the standard 70% revenue share when online customers buy these apps and games using the new virtual currency. If you own a Kindle Fire, try to check your emails since you may have accidentally deleted those 500 Free Amazon Coins, worth $5. These 500 coins for $5 just makes each coin like a penny and even adjusting for the discount for buying bulk, the value of the coin isn't actually that confusing if you are buying them not too much. For some parents, it may be like purchasing Google Play or iTunes gift card and the money will simply add as a credit for their account. This "may" be a good concept for some parents since this will allow them to load Amazon coins into their Kindle account and not be too much concerned about their young children charging those chosen apps and games directly to their credit cards. The other popular websites such as Facebook started their virtual currency back in 2009 with regards to buying games and virtual goods but had announced last year of June 2012 that they wanted to get rid of its Credits platform and just use the local currencies. Facebook had given their app developers to provide in-app subscriptions. On the other hand, the popular tech site which is Microsoft had announced in October that they will no longer use the Microsoft Points in Windows 8. Several years ago, Microsoft had also launched an online currency system called Microsoft Points and these points were used to buy movies and TV shows, Xbox games and some features inside of those games but when Windows 8 came, Microsoft started eliminating out the use of points when you buy their music and video content. They still use the points for Xbox users, video purchases and rentals, but with the new beta version of Windows 8, some consumers felt that the Microsoft Points which is their virtual currency may end sooner. Some online consumers had predicted that the virtual currency will not last while others were just happy to receive those Free 500 Amazon Coins. After using those coins, it's really up to anyone if they will continue accepting it or they are done with it. Amazon launched their new virtual currency and had announced on January that they wanted to extend its in-app purchasing service and this was already available for the Kindle Fire and other Android devices. This service will cover the PC, Mac, and other Web-based gaming platforms. All in all, I was still glad and thankful that Amazon has given me as current Kindle Fire owner 500 coins which was equivalent to $5.00. It was my first time buying those Educational Apps in their app store and was able to save money from it. I guess that by giving Kindle Fire users the Free 500 Amazon Coins, it was also a way to introduce especially parents like me to the new world of learning through some of these wonderful and helpful apps. Buying the Educational Apps for my little one was priceless since she was able to read additional words and enjoy counting numbers and much more during her free time instead of just watching TV.